The Dog Remote Control App can be pre-programmed with sounds or voice commands that your dog is conditioned to recognise and respond to. If you are one of those owners whose voice changes when you are stressed, being able to give your dog a consistent, calm and assertive command at the touch of a button – no shouting, no panicking, no babbling – it is invaluable even when your dog is right beside you. 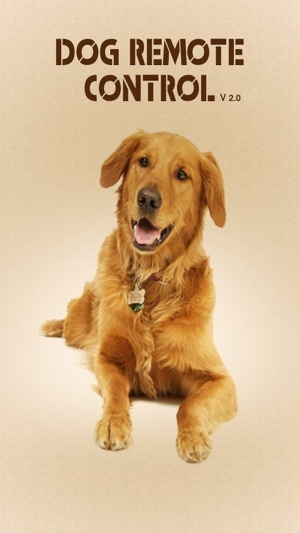 In addition to programming the Dog Remote Control with your unique voice command(s) it can also be set up with a sound or sound combinations that you know your dog with respond to – or how about recording a sound or command already successfully used by your personal dog trainer or even a celebrity trainer? There are endless things you can try with your dog to help with training. 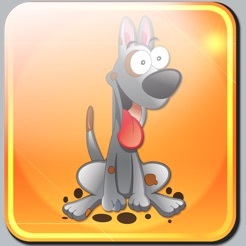 Dog Remote Control App is easy to use for fun and training. The App comprises an easy to use keypad with some recorded noises - clicker and whistle - and other keys that can be programmed for new sounds and phrases that the users can add. Please make dog training fun - this training aid should be used for ‘positive reinforcement’ training. Dogs only understand commands when you teach them - just because you understand the word does not mean that your dog will. 1 - Record your voice on the buttons for the commands you wish to train. ‘Clicker’ and ‘Whistle’ are pre-recorded. 2 - If your dog already responds to some voice commands then try practising these first. 3 - Reward your dog when things go right - NEVER punish your dog when things don’t go well. Keep training sessions short - little and often works best. 4 - You can use the ‘Clicker’ button to help reinforce training - ‘Sit” followed by ‘Clicker’ as soon as the dog responds by sitting down, followed by giving a treat. 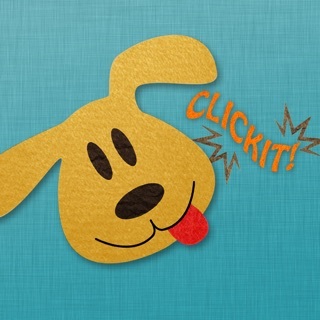 Your dog will soon learn that the ‘Clicker’ sound means he/she has performed the right task. Idk y nobody has seriously reviewed? I feel sorry for developers that provide accurate descriptions of what their app does, then get idiots that clearly can't read giving poor ratings. The concept of this app is for the dog owner to record various commands in their own natural voice. The voice the dog is used to responding to. As described, if you are agitated or nervous your voice could change, such that your dog might not respond as desired. It's a simple app. Is it something I will use? Unlikely. However, that doesn't justify giving the app a poor rating. The app does what it says. Simple. This app does what it's supposed to do I had crazy dogs and now they're trained! Thank you guys so much!